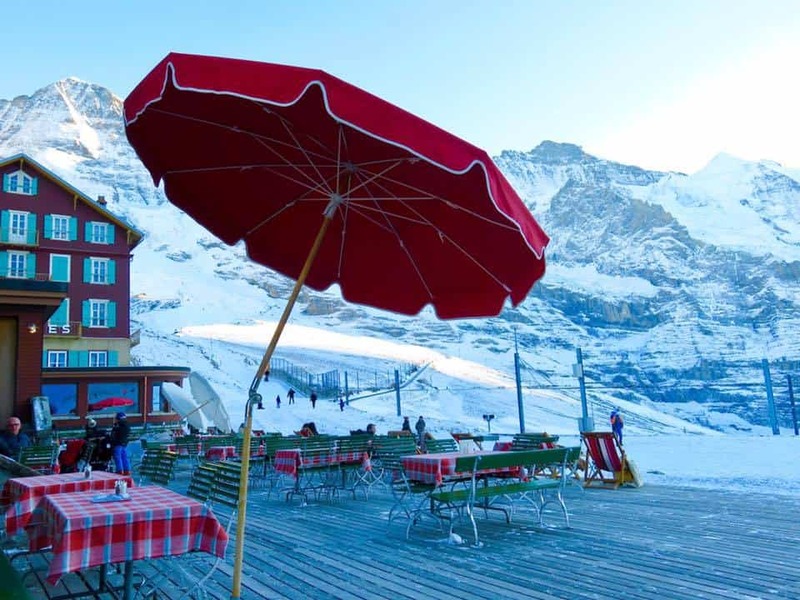 Grindelwald is an idyllic location for a ski holiday, set in the Jungfrau Ski Region of Switzerland. We stayed there for two nights soon after New Year and had a great time skiing and exploring. 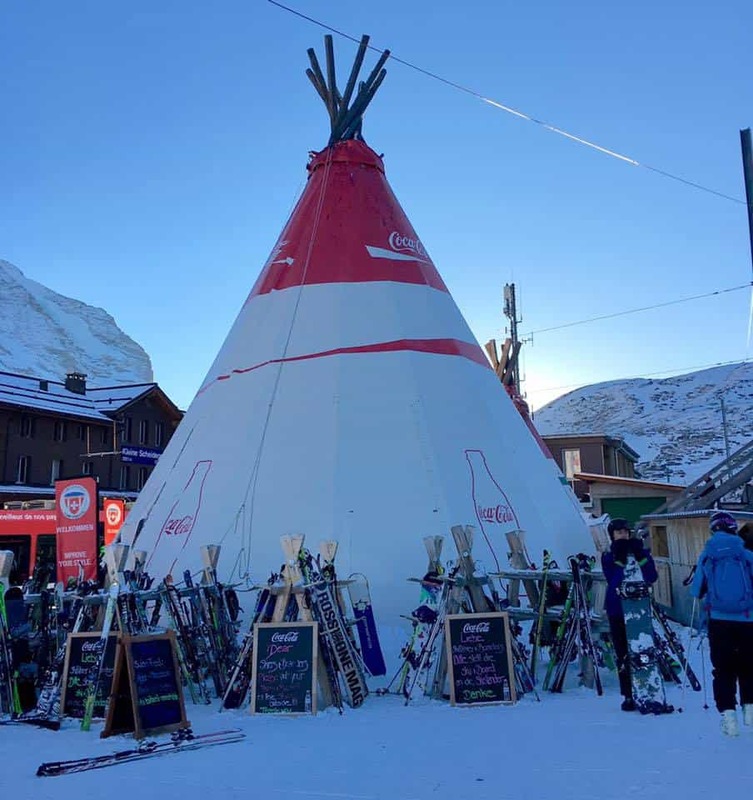 We had been invited to try out the current “Skipassgesschenkt” offer, which allows you to get a free ski pass if you stay for 2 nights or more. 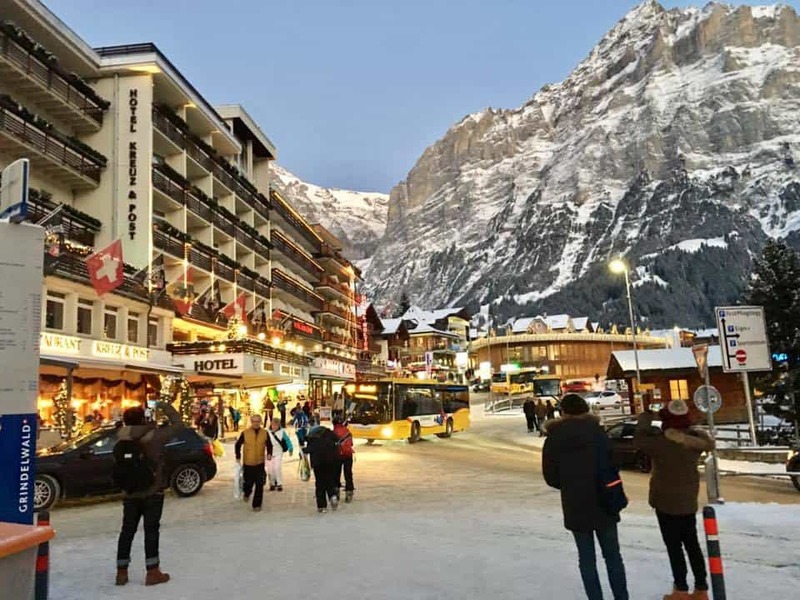 The offer is running all season long in a huge range of hotels in the Jungfrau Ski Region so is definitely worth investigating! 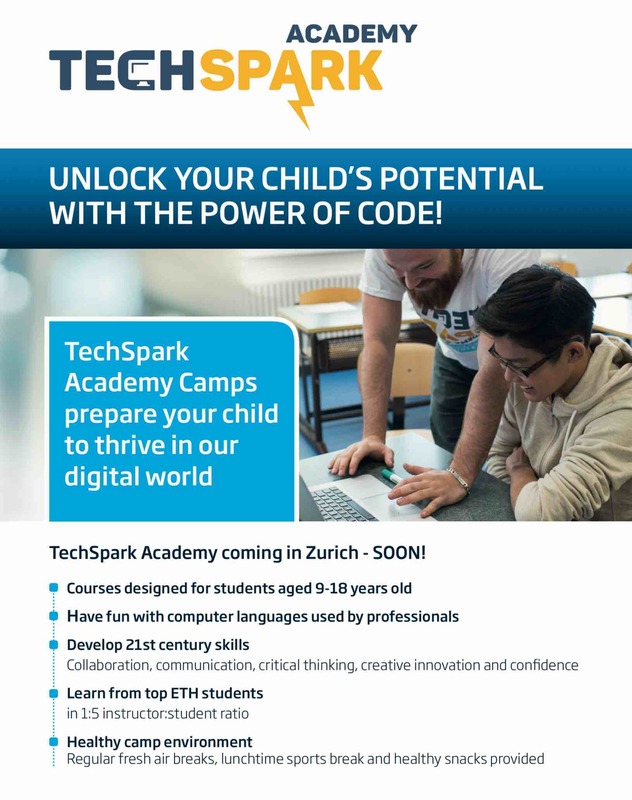 If you want to find out more about the offer, I’ve inserted the link to the article explaining the Skipassgeschenkt offer here and also at the bottom of this article. We set off leaving behind a very foggy Zurich and two and a half hours later we found ourselves in sunny Grindelwald with blue skies welcoming us. 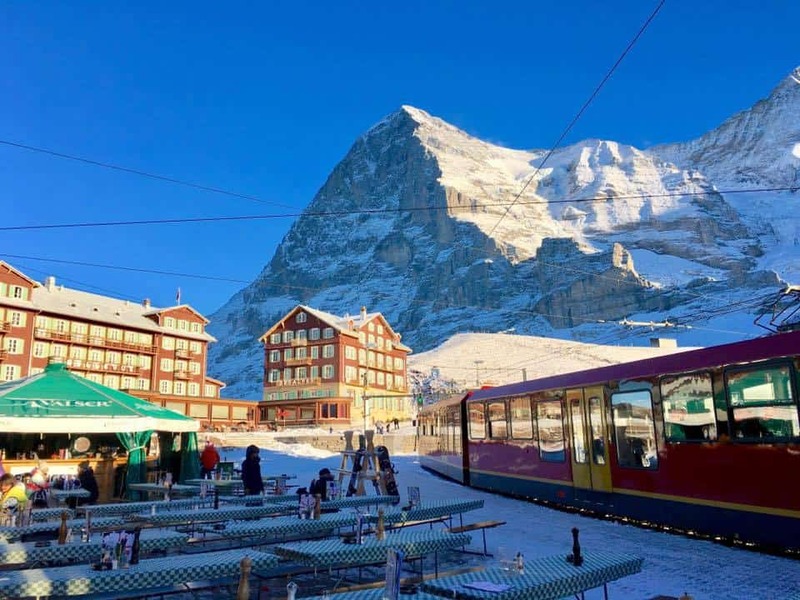 After checking in to our hotel and picking up our ski passes we wasted no time in taking the cog wheel train from Grindelwald station a few minutes walk away, to the Kleine Scheidegg. The journey is very picturesque with ever changing vistas as you ascend the mountains and lasts about 40 minutes. 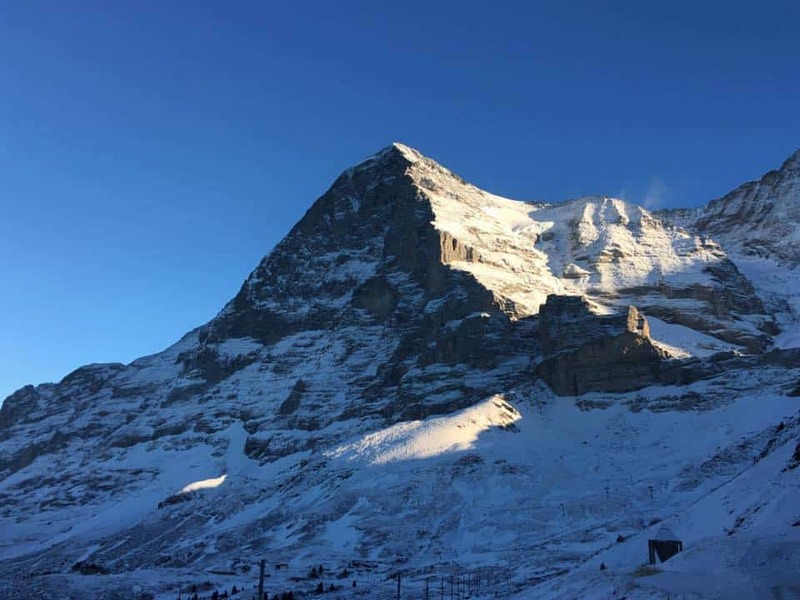 At the summit you can marvel at the amazing views of the Eiger, Mönch and Jungfrau mountains and you even get a spectacular view of the famous north face of the Eiger. At Kleine Scheidegg we had a quick snack lunch in the Tipi before spending the rest of the afternoon skiing. 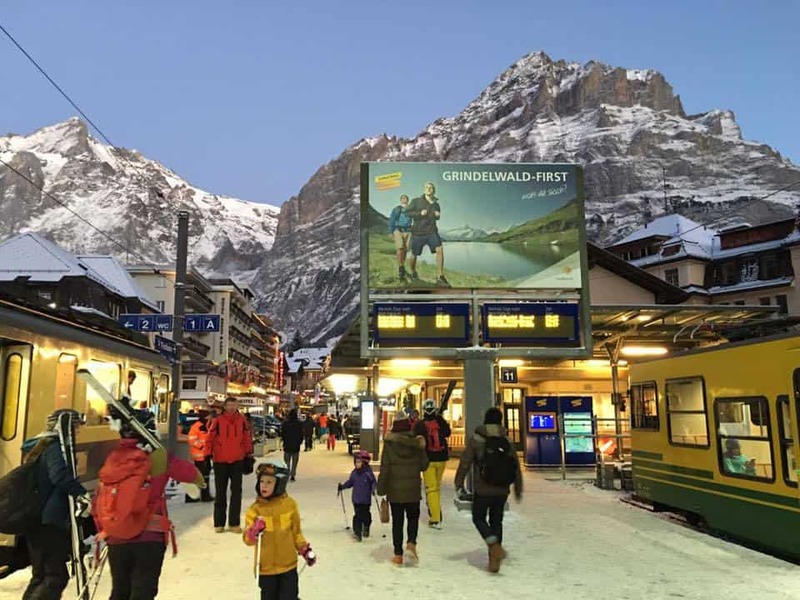 On our last run we skied all the way down to the village station at Grund where we took the train just one stop further to Grindelwald. 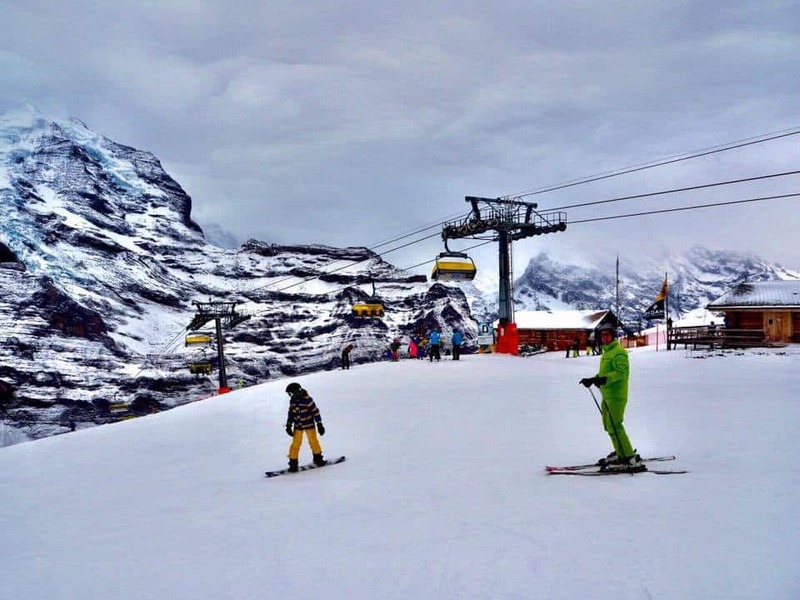 We were lucky as our stay in Grindelwald coincided with the arrival of fresh new snow. The resort had worked hard to prepare the slopes and had done a marvellous job, but the fresh snow was really great and with new snow each morning we couldn’t wait to hit the slopes. 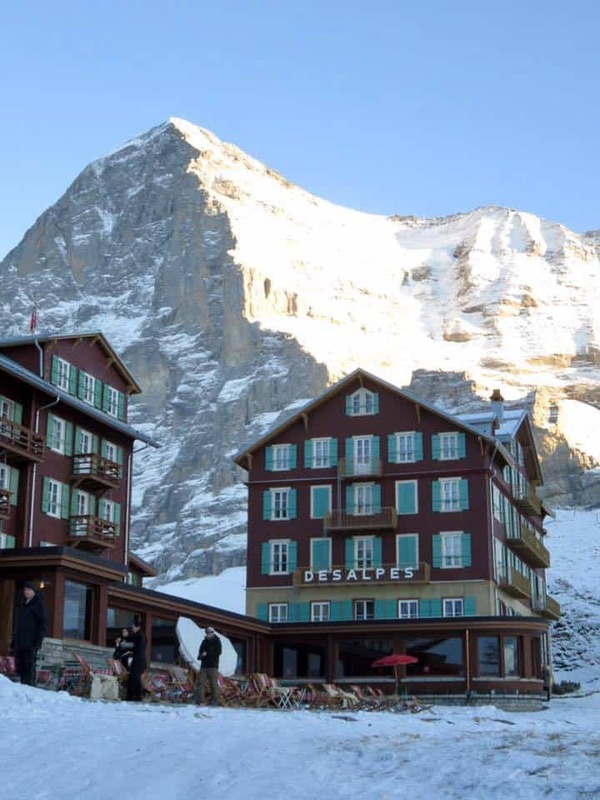 Under the Skipassgeschenkt offer, if you stay 2 nights at a hotel in the Jungfrau Ski Region you get a 3 day skipass! So for the three days we took to the mountains to ski. 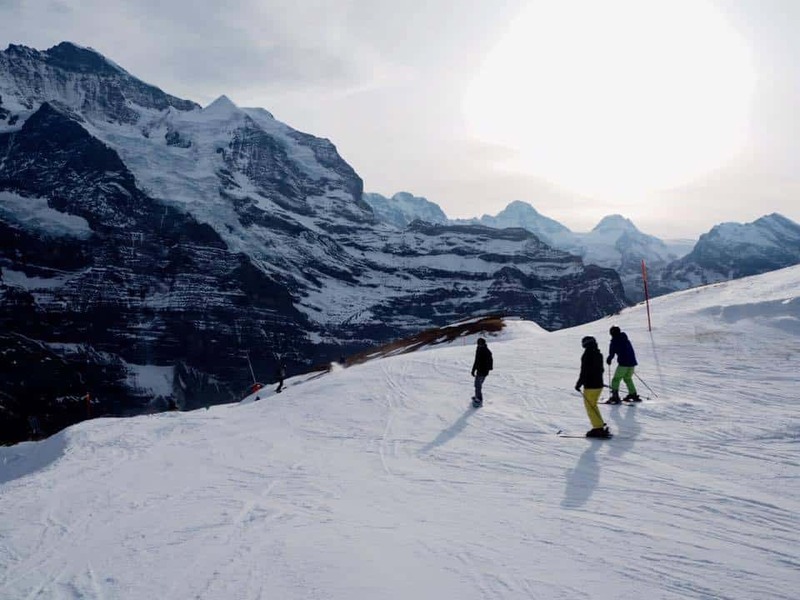 However, because I had also paid for my family to come and take advantage of this great offer, we split up and also explored other parts of the beautiful Jungfrau Ski Region which are equally suited to non-skiers. Whilst we were there most of the snowfall was in the night, and during the day it was clear and bright – perfect for skiing and sightseeing! 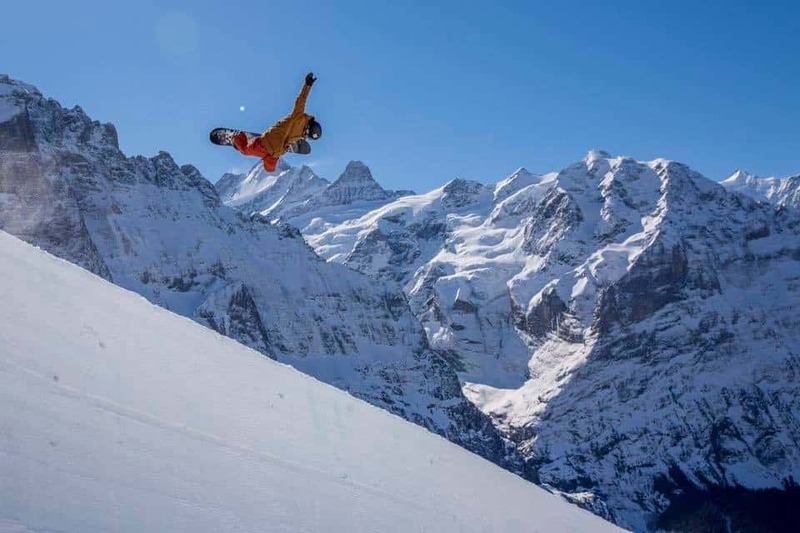 We also had the opportunity to meet the first ever Olympic gold medallist snowboarder, Gian Simmen (seen in action here in these two photos), who is in charge of the Grindelwaldfirst snowboard park and an Ambassador for the Jungfraubahnen. 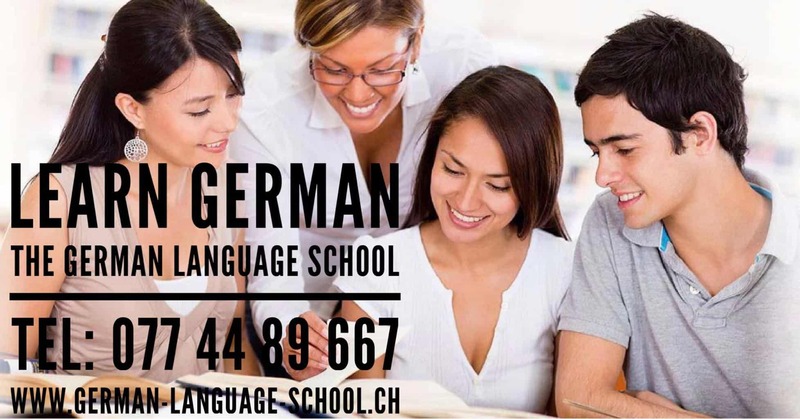 Gian is a friendly, approachable guy who clearly loves the mountains and the Jungfrau Ski Region. He gave us plenty of tips on things to do in addition to skiing or boarding – there’s something for everyone he said, with suggestions varying from snow-shoeing and skating to exploring the snow parks and trying out the First Flyer zip wire. 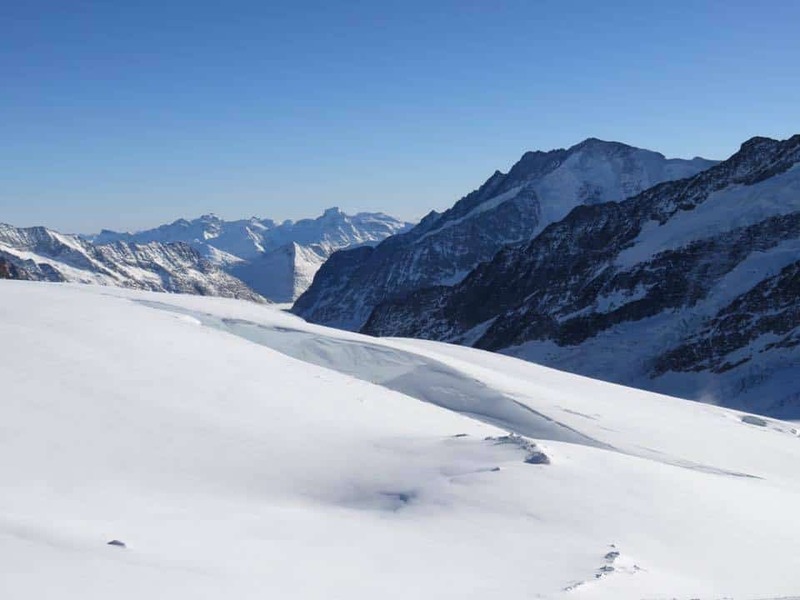 He also inspired us to take a trip to the famous Jungfraujoch, which we had visited a few years ago, and to revisit Grindelwaldfirst too. 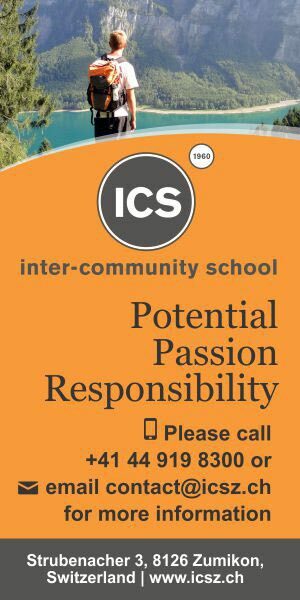 Gian was right! 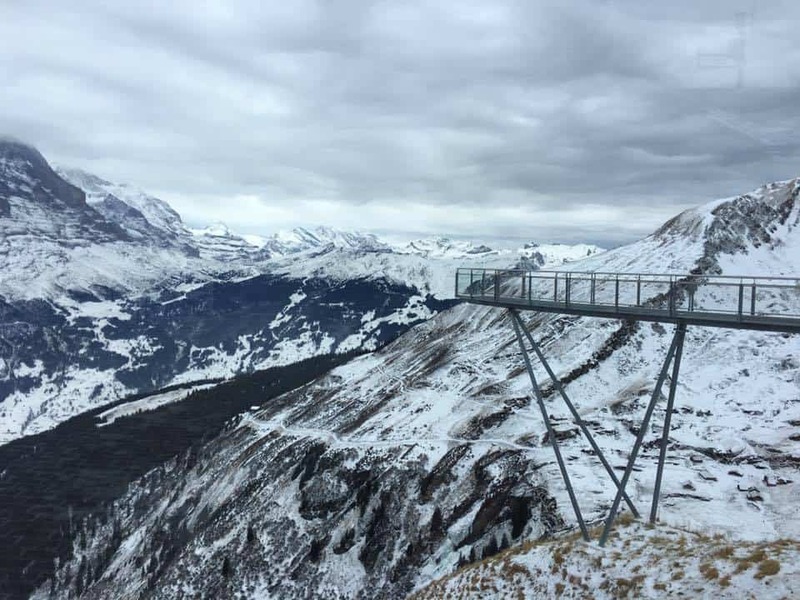 The views from the Jungfraujoch are simply stupendous and you really need to see if for yourself! 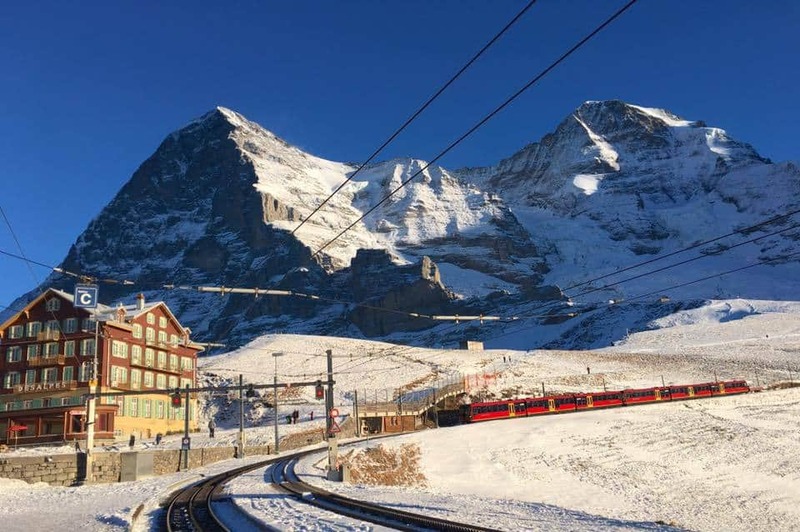 It’s a beautiful trip by two cog wheel trains from Grindelwald and from Kleine Scheidegg to get there, and the Aletsch Glacier is stunning. 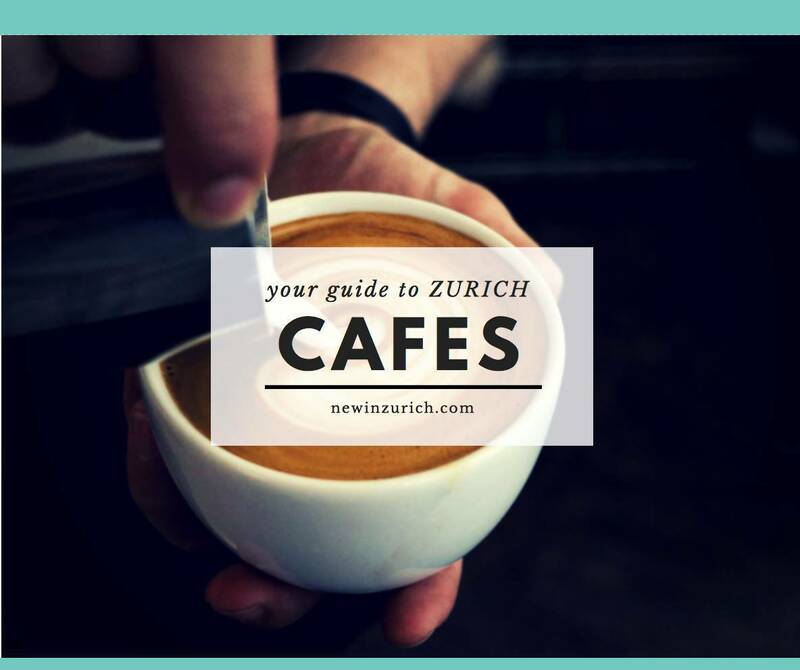 There is so much to see and do that you really need a full day to do it justice. As well as the amazing views which you can see from both inside and outside viewing stations, there is an ice palace full of ice sculptures, a snow fun park, a number of restaurants, some of the highest shops in Europe and lots of historical information as well as facts and figures about this, the highest railway station in the whole of Europe. 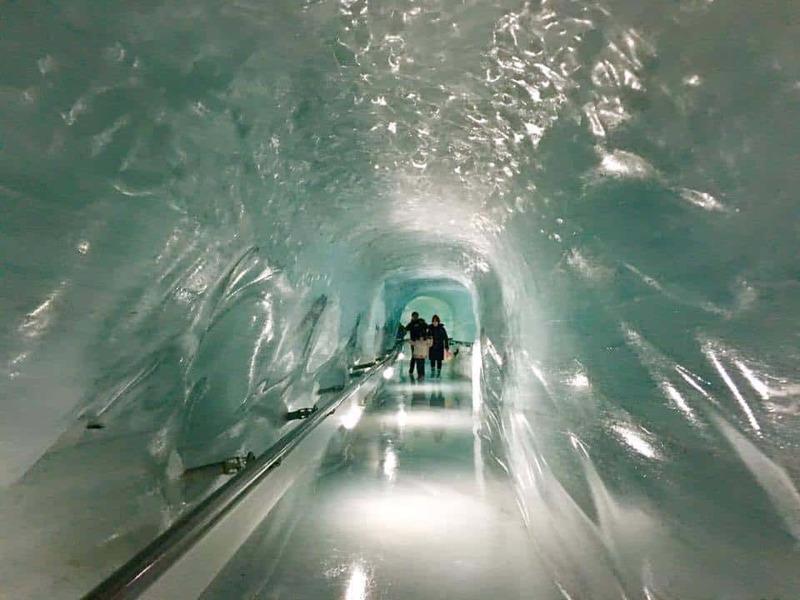 For more photos of our visit to the Jungfraujoch see here. Another place Gian recommended was Grindelwaldfirst. We had already visited Grindelwaldfirst in the Summer and thoroughly enjoyed it but it looks completely different in Winter with a dusting of snow. To reach it you can walk the ten minutes by foot from the train station in Grindelwald (or take the bus) and you then hop in a gondola for a scenic ride lasting between 25 and 30 minutes which takes you directly to the First Peak Walk by Tissot and offers fabulous views over the Jungfrau Ski Region. 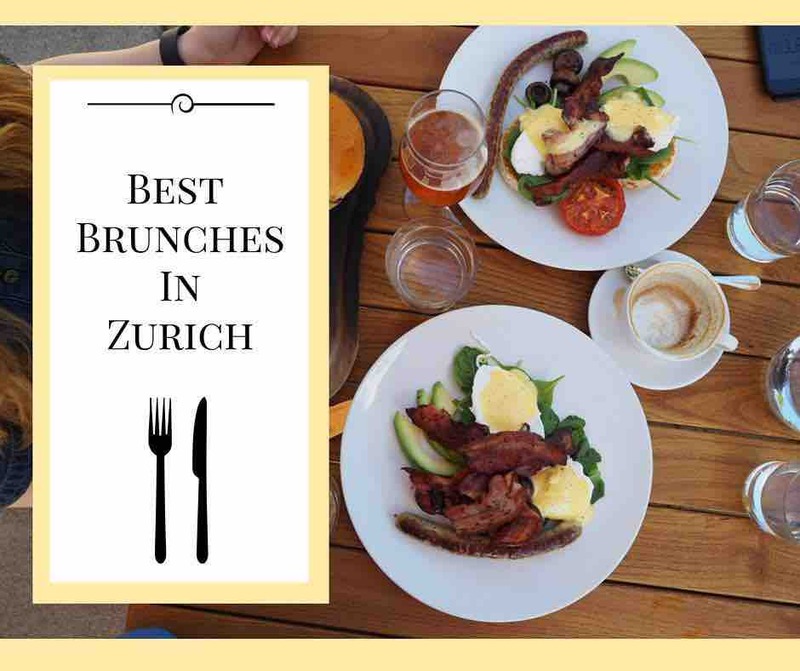 The restaurant located at the top of the station offers traditional Swiss mountain dishes and as we had been skiing since the slopes had opened that morning, we stopped for a late lunch in Grindelwaldfirst and a walk along the First Peak Walk for the most amazing views. 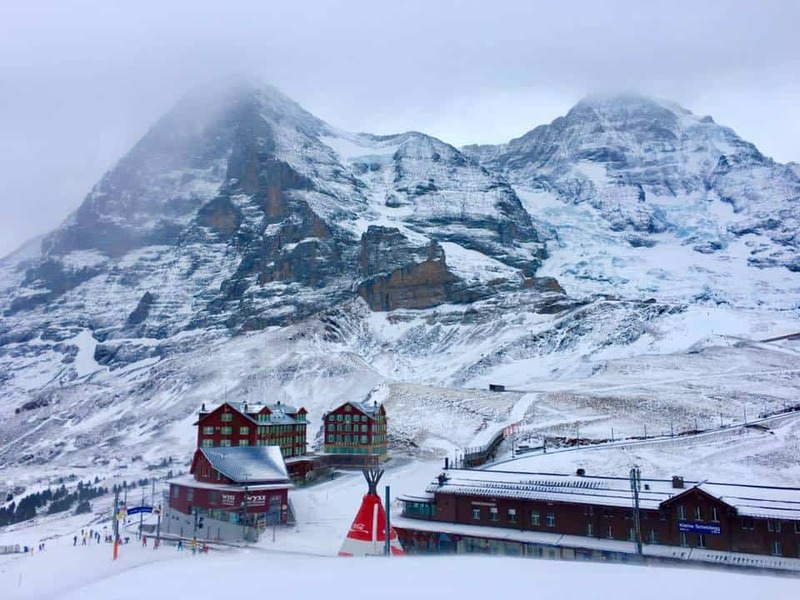 So why visit the Jungfrau Ski Region? 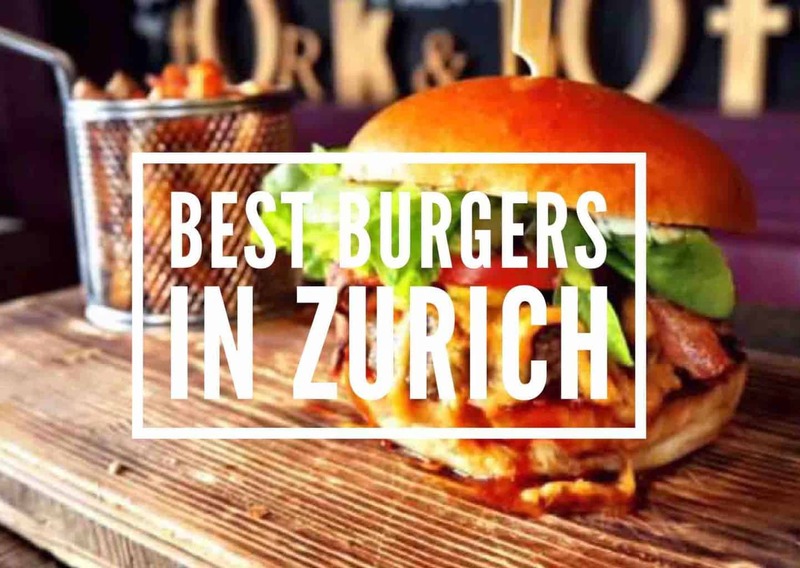 Well, first and foremost there is the skiing, the après-skiing, good restaurants and bars, shops and boutiques to peruse, and then there is the amazing excursion to the Jungfraujoch. 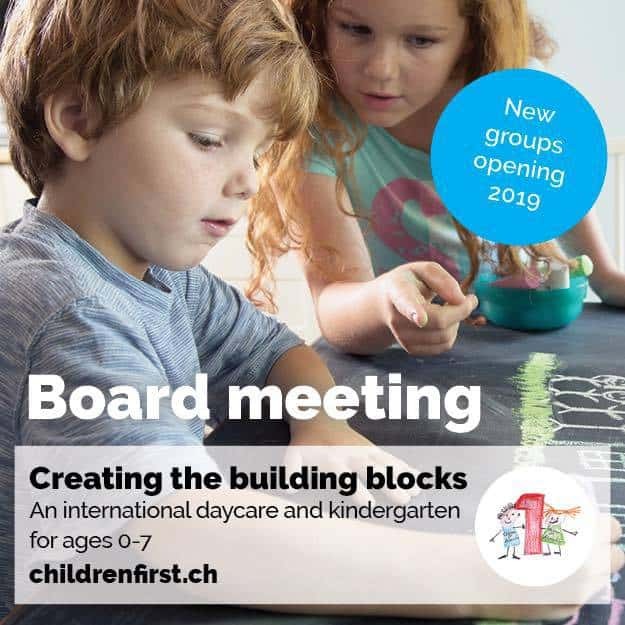 At Grindelwaldfirst there is a beginners and an advanced snow park as well as a half pipe and the First Flyer giant zip wire and Trotti Bikes (when the paths are snow free) and of course sledging and snow shoeing too. 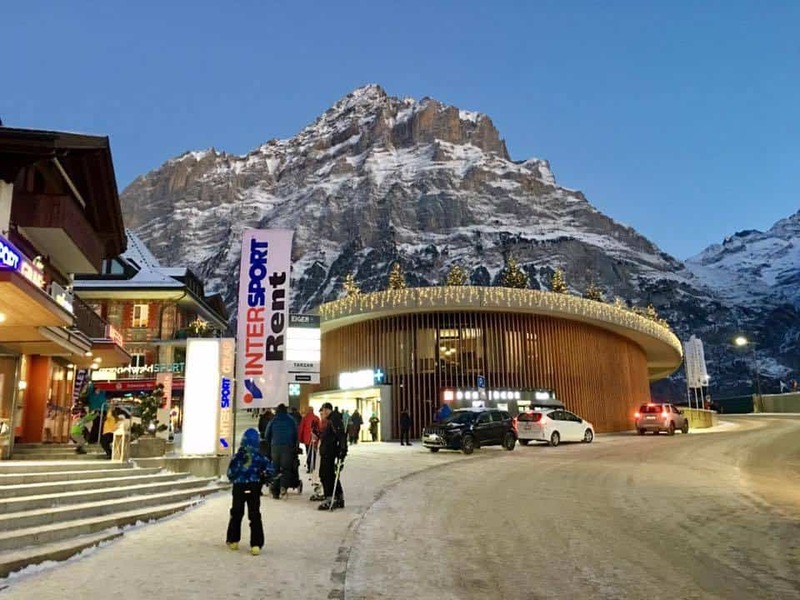 In Grindelwald there is a Sports Centre with a pool, wellness facilities, an indoor climbing wall and an indoor rope park as well as an ice skating rink with curling. 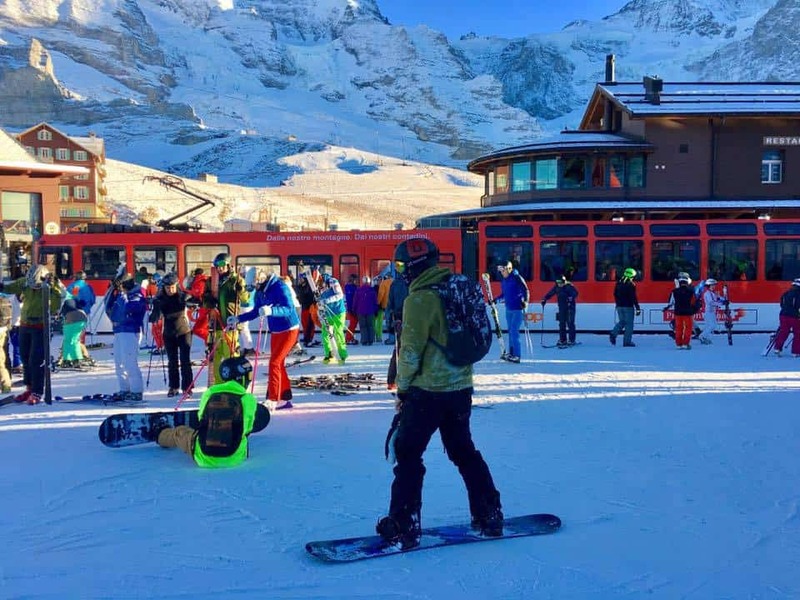 In nearby Wengen the famous Lauberhorn downhill ski races take place every year in mid January offering you the unique opportunity to see the best and most famous skiers in the world compete. 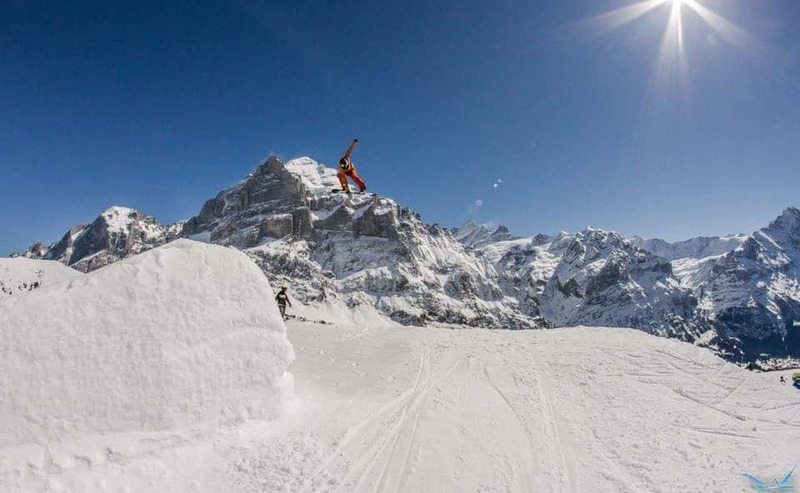 For more information on the Lauberhorn race see here. 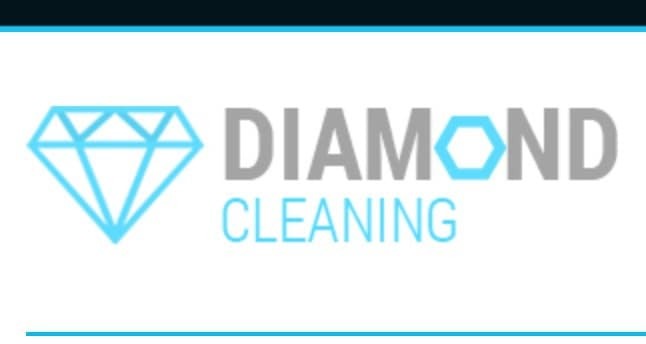 So why not give it a go? 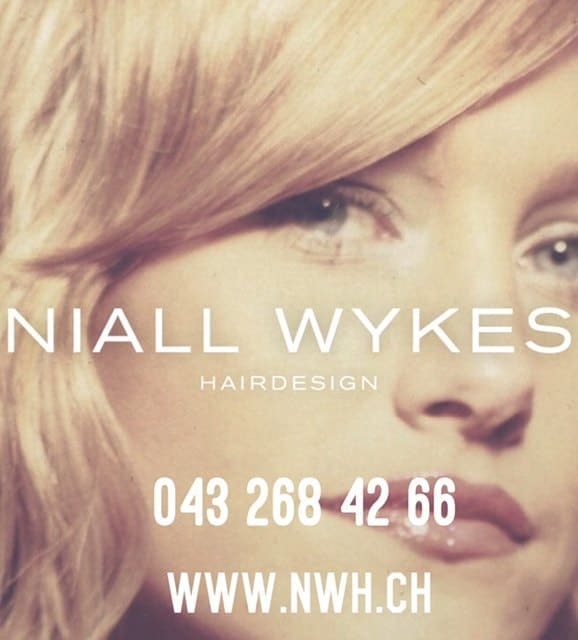 Fancy a great time in the Swiss mountains skiing and exploring? 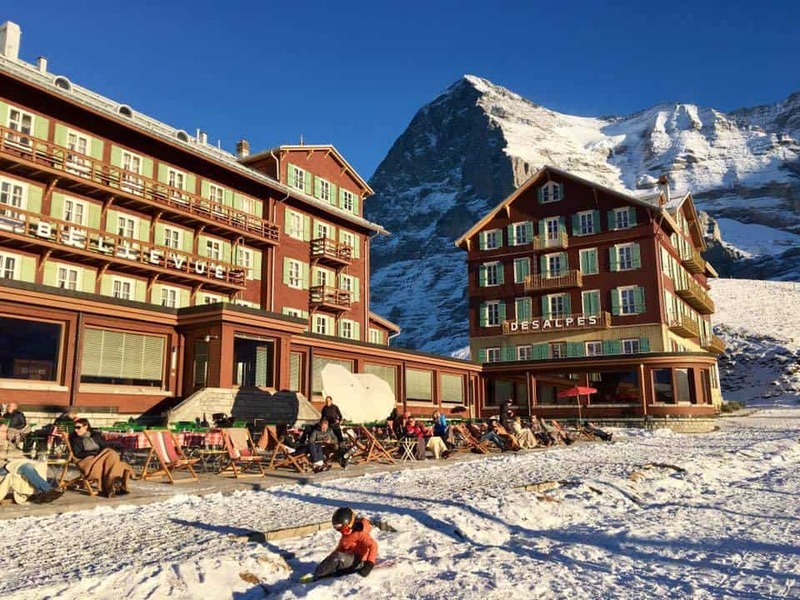 If you’d like to take advantage of the fabulous offer with a free ski pass for every stay of 2 nights or more booked, simply visit the Jungfrau Ski Region hotels website and book directly online. 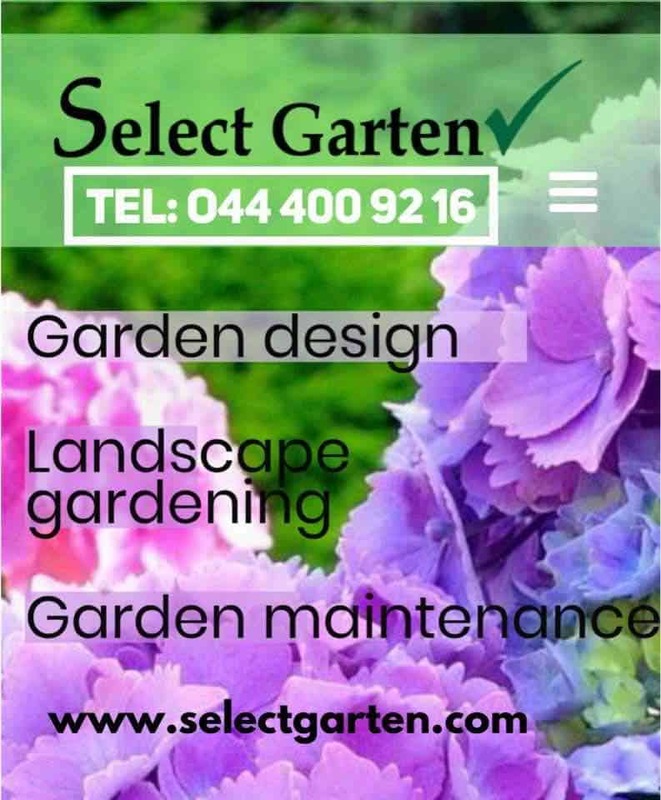 You can also see our =->>previous article about the Skipassgeschenkt offer here. 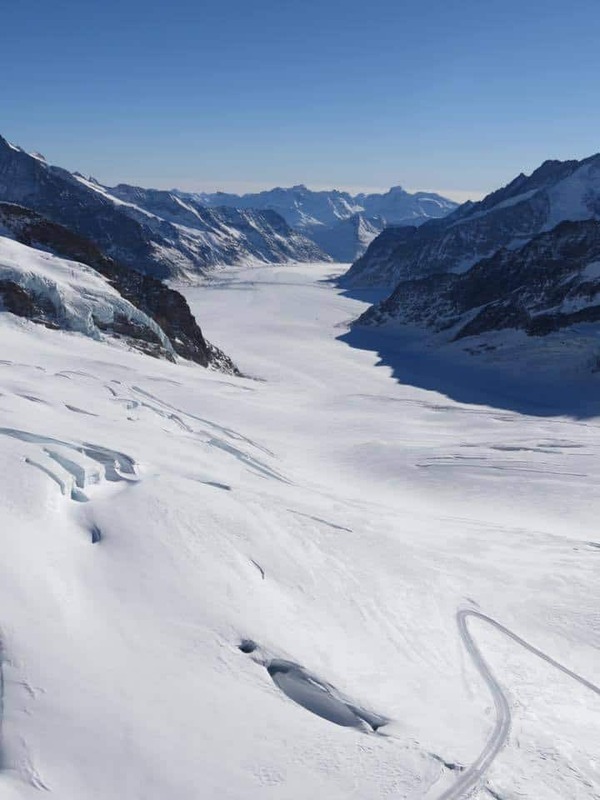 ==>>Visit the The Jungfraujoch website here. 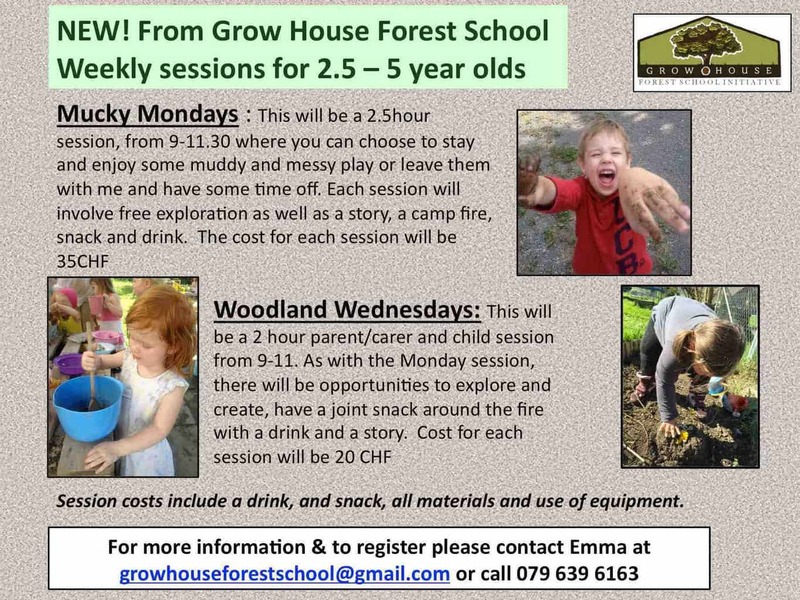 ==>>Visit the Grindelwaldfirst website here. 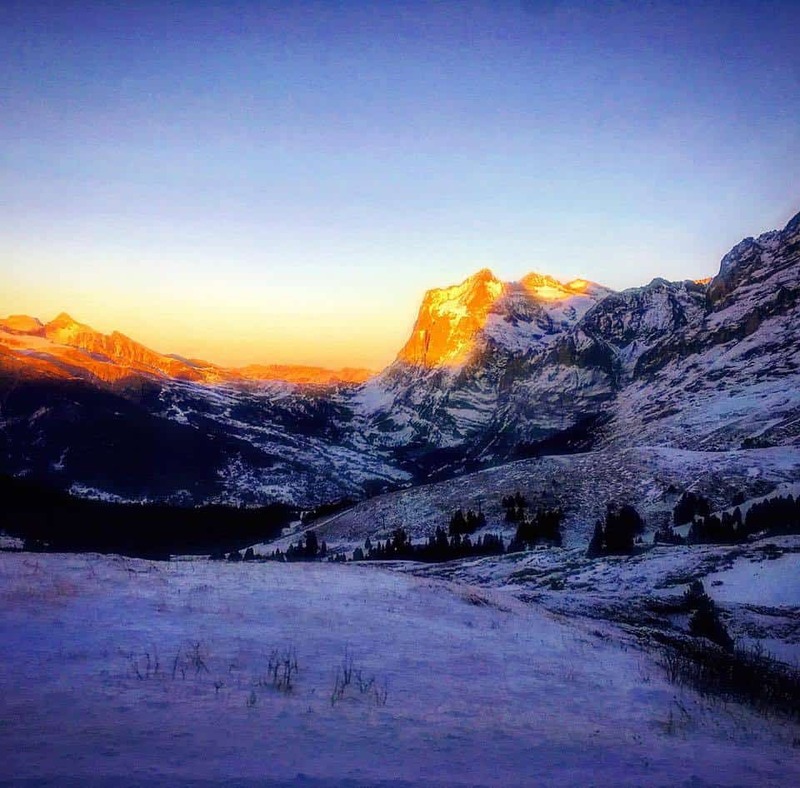 This is a sponsored article and we thank the Jungfrau Ski Region for hosting us in Grindelwald for this event. However, all views and opinions are entirely our own. 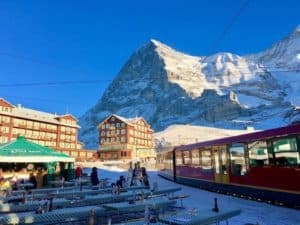 Share the post "Skiing in Grindelwald in the Jungfrau Ski Region of Switzerland"